This is a new series of books from Prim Ed here for only €5.99. It is available for 1st – 6th Class. 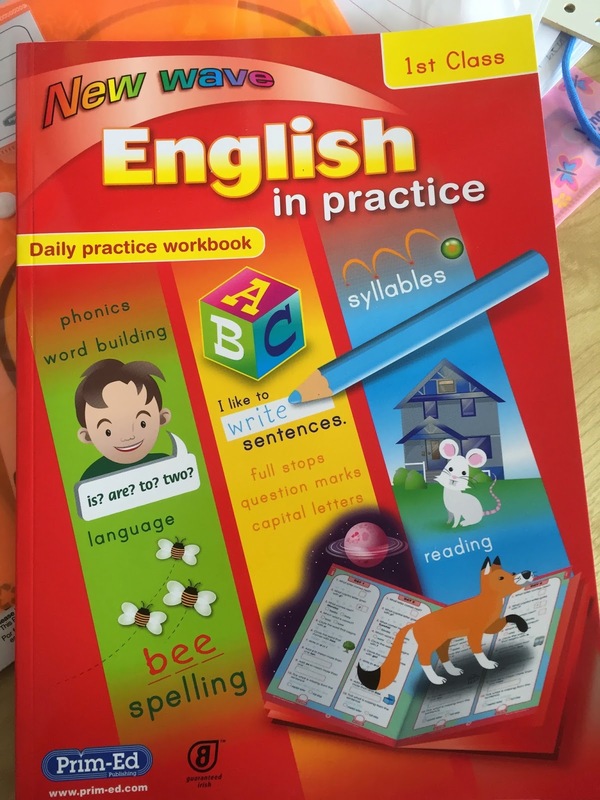 It is a daily practice workbook to develop children’s literacy skills. There are 10 questions each day based on the areas of spelling, word study, punctuation and grammar. There is a pupil record sheet that children can use to record their scores. Here are some samples from the 1st Class Book. Focus on phonics, spellings, syllables and high frequency words. Confusing words and common errors are repeated to enable children to avoid them in their own writing. Focus on phonics, spelling and vocabulary. Grammar, punctuation and parts of speech, capital letters, comma’s and speech marks. There is also a revision section at the end of the book. The books challenge children and provide repetition to support children in their learning. At €5.99 each, they are a good deal and would improve children’s spelling, punctuation and grammar through daily repetition.